New Olive Oil Strip wax. Provides ultimate skin protection, prevents breakage, and reduces redness. 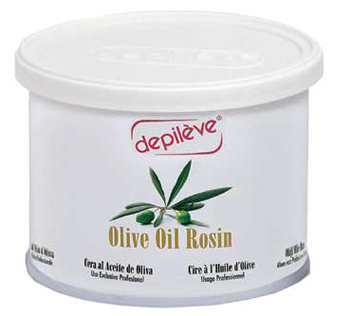 This exclusive Pure Extra Virgin Olive Oil (EVOO) formula is a blend of Depileve's all natural buffered wax rosin, enriched with the anti-inflammatory ingredients found in EVOO to calm and protect most skin types.